We clamp it crooked - and you get a tool unlike anything ever experienced before. 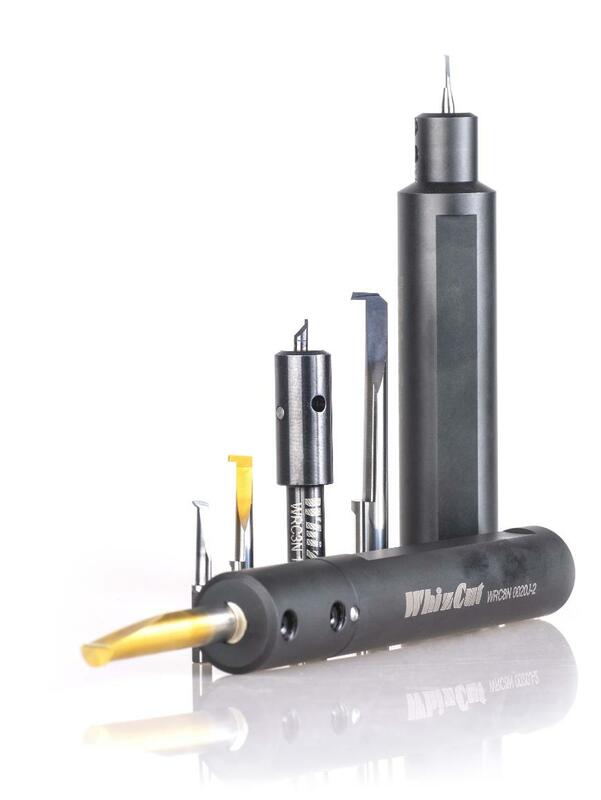 WhizIn toolholders has the carbide bar mounted at an angle to create more stability. WhizIn improves your productivity, by better surface finish and increased tool life. Consistent, strong and stable. A WhizIn boring bar has up to 50% more material at the critical point compared to a conventional boring bar. The boring bar is clamped into the toolholder at an angle and the boring bar grows thicker with the length of the bar. Minimal grinding is required which results in less grinding stress and a more consistent tool for you. - Unique chip control geometries: control down to the smallest dimensions. - Increased tool life: the added material at the crucial points gives a matchless tool life. - Improved surface finish: thanks to the additional material and stability. - Wide range: a wide selection of toolholders, some with coolant through. Perfect conditions for high pressure coolant. The boring bar is mounted in a 2° angle in the toolholder, and a natural incline angle is achieved. - Coolant through: ideal for high pressure coolant. Read more on page 60. - Secure and stable: with double screws. - Special toolholder designs: for Swiss type automatic lathes.